Language Systems Lifestyle! : Lunch social at a local taqueria with Ty! 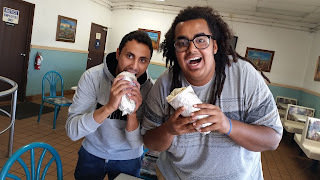 Lunch social at a local taqueria with Ty! On Thursday November 12, 2015 about 15 students from Language Systems - OC had a lunch social activity at the local Taqueria de Anda, which is a local taco shop that serves delicious authentic Mexican food. It's hard to live in California and NOT eat Mexican food. 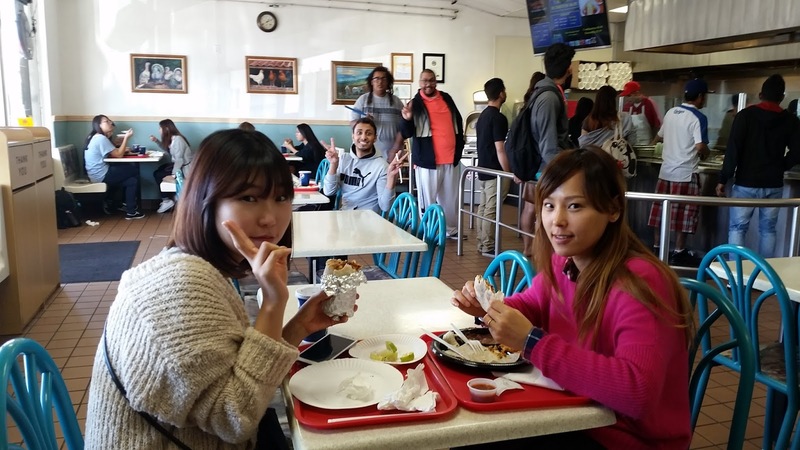 For many of these students it was actually their first time trying a food that almost every California native grew up eating. Some students got tacos, some got burritos, and a couple tried the quesadillas. 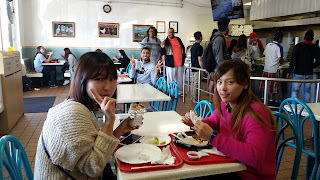 Students had to choose a meat, with the choices being BBQ pork (Al Pastor), Mexican beef (Asada), and chicken. They also had to choose between red sauce (spicy) and green sauce (not that spicy). When one student from Japan held the burrito in her hands for the first time, she said, "It's so heavy!" Half of us had food coma when we were done eating lunch. 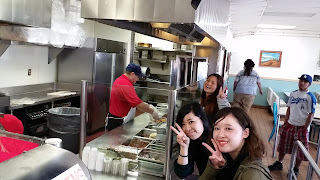 It was a lot of fun, and our Language Systems students did a great job trying something new, and something unique about life in California. I was there! I had a huge Al Pastor burrito. I wasn't even hungry for dinner that night. 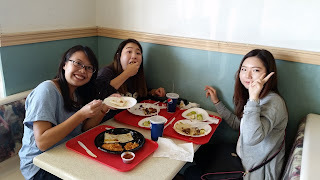 Once again, our students did so well enjoying all the food, even though it was very different from food in their countries. A night of pool/billiards with Anthony!